If you have been waiting for the opportunity to browse the Apple Store on your iPad, now you can. Apple finally released on Wednesday an iPad version of its Apple Store app (Free), which allows users to browse and order products, and make appointments at Apple retail stores. 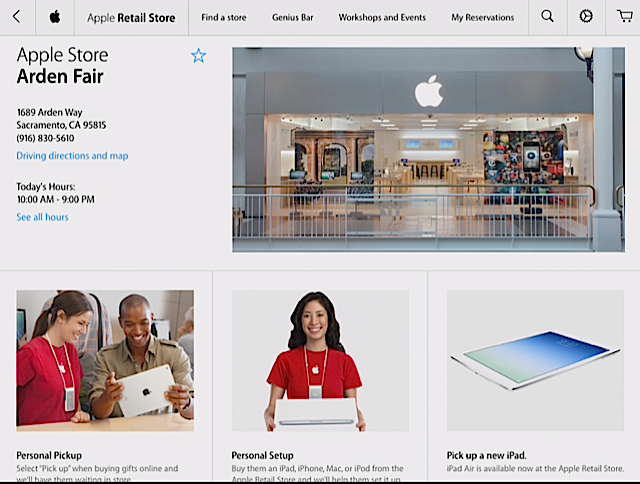 The Apple Store app mirrors the content of the Apple Store website, as well including the hardware products available in Apple’s local retail stores. 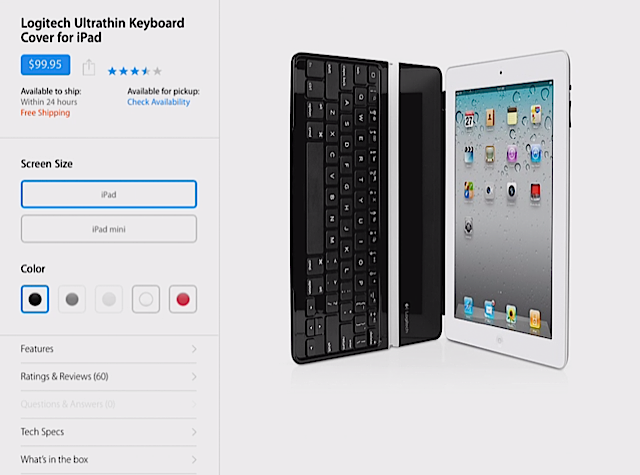 The store app takes the advantage of the iPad’s large screen real estate and allows users to navigate products with familiar finger gestures, swiping, and zooming of page content. The app’s homepage is followed by five other sections for Mac computers, iPads, iPhones, iPods, and links to Apple Retail Stores. The familiar Apple icon in the top-left of the screen takes users back to the homepage, which consists of featured Apple and trending third-party products. Tapping on a product reveals detailed information, including price, features, ratings and reviews, questions and answers, and tech specs. None of the third-party products, however, include links to their respective manufacturer website. Swiping down on a product page reveals the menu bar for switching between store sections or back to the homepage. Users can also find local Apple Stores and use the app to to make Genius Bar reservations, select Pick Up and Personal Setup times for ordered products, and view scheduled workshops events. The app also provides the order status of products, a user’s account settings, and the ability to change payment and shipping options.